(12-11-2012, 07:11 AM)jamesc1 Wrote: The man was a crook, nothing more!!!!! I think of him more like Phil Silvers from the old Sgt. 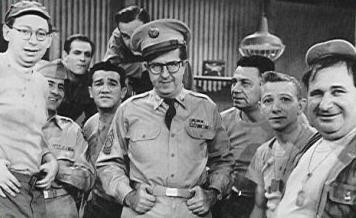 Bilko show. A con artist with a sense of humor. Sometimes he is conning his crew of dumbass Dobermans and puto Paparellis, sometimes he is working with the same crew of scumbags to con someone else. Pretty funny, unless you are the guy he's conning. Except that Sargent Bilko was likable. At least he had that going for him. Could this Bear character say the same? (12-13-2012, 07:00 PM)Virtual Bison Wrote: Except that Sargent Bilko was likable. At least he had that going for him. Could this Bear character say the same? Klempner's books are essentially just long lists of schools, some "good choices," others "less than wonderful." They should have all the charm and readability of a college catalog. What distinguishes them from dross is that Klempner is a good writer with a sense of humor. Somehow he channelled that inner irreverance (or is it disdain?) in a way that people appreciated, thereby adding a little vitality to an otherwise insipid topic. So if you are judging him strictly on his books, I'd say he is "likable" in the sense that any author or artist is "likable" if you appreciate their work. On the other hand, if you judge him by his conduct...well, if you liked Stalin you'll love Klempner. I enjoyed the guides, made good reading, but Bear provided none of the expertise he pretended to have. What he provided was entertainment value. Unfortunately many took him to be the expert he pretended to be. If he had just been wrong in the guides I could have just let it go and saw him as mostly a harmless huckster, but, he has gone the route of outing the very people who bought the guides and followed his (VERY SHAKY) ideas and opinions. Even now if he would recant and at least say that many people followed his advice and accept the blame for some of their less than good choices, I could let it go. He will not. He still claims to have never said that schools such as Kennedy Western were GOOD choices. Hell, I have the book where he listed KWU as a good school. He will damn me to hell and call me a liar every time I quote him. When I give, book-page-and a direct quote he disappears, but sure enough, when next he is challenged, back to I never said that. I guess he must go by the idea if he denies long enough some will believe. John Bear presented unaccredited schools as good for many people. He listed hundreds of these schools, some very small. Many of the small DL unaccredited schools gave a good effort and were not mills. Bear now calls them all mills or little better. The man is pond scum. Can't argue with your logic. Bear is amusing, so is my dog, and less of a hazard. I must confess that I have enjoyed the guides even after seeing him for what he was, full of it. It is strange the way he attacked the legal, better than junk, some very good, schools, while ignoring the red hot degree mills. Maybe it has to do with any real caring. His interest was probably only skin deep. He never figured a way to make big bucks out of the unaccredited schools and eventually lost all interest in the subject, except, to trash the people who listened to him and bought in. He seems to be the type that would rather be yelled at than be ignored. He is like Bart Simpson--LOOK AT ME-LOOK AT ME.